Well fans, I've just got to try some of attorney Avery's key lime pie. It must be so mmm mmm delicious! What a great cook she is! First, she made the famous cupcakes that Nicholas Newman couldn't resist. Then she whipped up her mouth-watering pie. Boyfriend Dylan was so enraptured that he entered her recipe in a contest. She also made a video and now she' been asked to audition for her own cooking show, just like that. The woman is amazing! She makes everything look so easy. She even has time to keep an eye on Ian Ward and on top of all of that, she helps the wrongly convicted get out of prison - on a pro bono basis. (For those who need to brush up on their Latin, it means she doesn't accept any money for that work). I hereby declare Avery to be Superwoman! So the not-so-good Dr.Stitch has an enormous skeleton in his closet. According to Kelly, he is a murderer. He killed a man. We do not know the circumstances and we probably won't for awhile. Why do the writers have to take such an excruciatingly long time to reveal some dirty secrets from the past. Yes, I know that everything can't be revealed right away. However, in some instances, they take so long that by the time the truth comes out, viewers don't care anymore. Is Princess Victoria Newman in danger if she continues to cozy up to "Ben." She doesn't have to worry because Daddy Victor will always protect her. Stitch's supposed best friend, Dylan, doesn't seem to know much about his good buddy's past. Kelly knows more about the cookie-eating doctor than anyone else. Whom did Dr. Stitch kill anyway? We know he killed a male. Was it Kelly's husband? Did Kel's husband find out about her affair with the doctor? Did he confront Stitch? Did they have a fight and did Stitch unintentionally kill him? Did Kelly help her lover cover up what happened? What do you think, fans? What a surprise for Lauren and Michael! At a rather advanced child- bearing age, department store fashion queen Lauren is gong to have another baby - her third child after Scotty Grainger (born in 1991 from her marriage to Dr. Scott Grainger) and Fenmore Baldwin (born October 13, 2006). It's a good thing creepy Carmine Basco is not the father. Although Lauren has been taken to hospital emergency with some kind of complication, I doubt she will have a miscarriage. The storyline would end right there and we all know that doesn't happen on soaps. By the way, it's interesting to note that Michael Baldwin and Lauren Fenmore wed in 2005, nine years ago. That's quite a long marriage for a soap opera couple. There has been some speculation online that the Cassie look-alike will turn out to be the dead Cassies's identical twin. 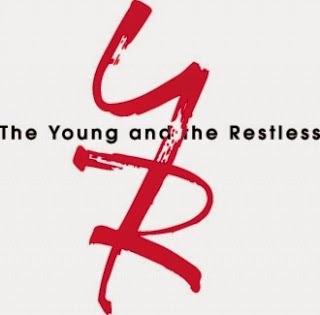 Some Y&R viewers think that the bogus Cassie is Sharon's real daughter who was taken away somehow when Sharon gave birth. Until now, the fake Cassie has deftly managed never to be seen by anyone except Sharon. That has changed. Although she recently avoided being seen by Nick and Noah, she injured herself running away from them. Somebody saw her, though - the not-so-good Dr. Stitch 'em up. He noticed her cut and persuaded her to go to the hospital for a tetanus shot. Of course, she gave her name as "Jane Doe," which is bound to arouse Stitch's suspicions. By the way, is he the only doctor in Genoa City? I don't know about you but I don't like the pairing of Neil and Hilary. He's much better suited to Leslie, although neither of them can hold a candle to Drucilla. It seems that the writers are pairing Neil with Hilary to create a conflict between him and Devon. It is obvious that wimpy Devon is attracted to Hilary but is having difficulty extricating himself from the clutches of that gold digging hussy, Esmeralda. Do the writers really expect us to believe that Leslie, who was so adamantly against marrying Neil, would suddenly wed a doctor she had only known for weeks? She informed Neil that she and the doc had had a quickie ceremony in Las Vegas and she displayed her shiny new wedding ring. Are you buying that or do you think lawyer Leslie is just pretending she's married for some reason? Perhaps she actually got married because she's hiding a pregnancy and doesn't want Neil to know he's the father. Leslie doesn't seem the reckless, impulsive type. I suspect that there's a method to her madness. How do you like that Aussie cad, Colin Atkinson? He's going to break poor Jill's heart for sure. I knew he was a scoundrel but I thought he actually had some genuine feelings for Jill. What's going to happen to the character of Chloe now that Elizabeth Hendrickson, the actress who portrays her, has announced that she has decided to leave the show? I'm not a fan of Chloe so I won't miss her when she departs. I don't think EH will be replaced. My guess is that Chloe will leave town and her marriage to Kevin will be annulled. Regular commentator, CC from Etobicoke, Ontario, has a tease for Y&R viewers. She wonders how far the writers will go with the relationship between Victor and Chelsea. They are getting awfully chummy, although Victor is using her for his own purposes. Now that she believes Adam is dead (which of course, he isn't), Chelsea is very vulnerable. Another viewer, Fifi from Collingwood, Ontario, picked up on a comment by Victoria Newman. When Stitch asked Vicki if he was interfering with anything, she replied that "it's just Johnny's birthday." Huh? What kind of a mother says that about her toddler son's birthday? Victoria has her faults but she loves Johnny and would never just brush off his birthday as something insignificant. The writers put words in her mouth that don't ring true. Either that, or she's been mesmerized by the dubious charms of Dr. Stich'em Up - oops - I mean Dr. Ben Rayburn. A newcomer to daytime, Matthew Atkinson, has been cast in the recurring role of Austin, a cameraman working with Avery, presumably on her cooking show. He will make his first appearance on April 17th on CBS and April 16th on Global. The actor has had guest roles on such television series as Drop Dead Diva, CSI and One Tree Hill. He also had a part in the Academy Award-nominated movie The Blind Side. Will this new Austin character create problems for happy couple Dylan and Avery? After all, once he tastes Avery's yummy cooking, how can he resist the awesome blonde - especially when she removes her spectacles? Will Handyman Dylan rue the day he urged her to do a television cooking show? Will there be trouble in paradise? Perhaps The Young and the Restless realizes it need more staff at Memorial Hospital than Dr. Stitch. The show has sent out a casting call for the recurring role of Dr. Barton, "an African-American doctor in his late 30s to early 40s, handsome, intelligent, and a highly capable surgeon." Could he be possibly be Leslie's new husband? That's all for now. Don't forget that the next edition of Y&R Report will appear in this space on Saturday, April 27. 2014.